Study results presented at the 25th Annual Scientific and Clinical Meeting of the American Society for Dermatologic Surgery suggest that the new diode laser safely produces long-lasting hair removal. Addressing colleagues in Portland, OR, dermatologic surgeon and laser expert Melanie C. Grossman, MD, reviewed clinical data using an 800nm diode laser on 100 patients with skin types I-VI, light to very dark skin. Dr. Grossman is a clinical assistant professor at Cornell University and the New York Hospital in New York City. The purpose of the study was to determine the safety and efficacy of hair removal using this new type of laser that has a longer wavelength and a cooling handpiece. "We wanted to test our premise that the longer wavelength would make treatment safer for darker skin types, and that the cooling device would produce less side effects to the epidermis and reduce patient discomfort," explained Dr. Grossman. "We’re pleased to report that our findings substantiate the potential advantages of the diode laser." According to Dr. Grossman, the newly FDA-cleared diode laser is a very efficient device that contains several small diodes or semiconductors that are arranged together to produce light. A diode laser is significantly smaller than traditional lasers, making it a convenient and portable system for in-office procedures. In the clinical study, each subject had seven test areas, five of which received a single laser treatment, and two that received an additional treatment after one month. Fluence and pulse duration varied. There was one control site. 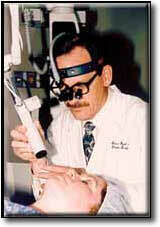 Treatment of a larger area was also performed on each patient. Patients were evaluated 1, 3, 6 and 9 months after treatment. Hair regrowth was assessed subjectively and objectively by computer images with a CCD camera (charged coupled device that produces digital images). Follow-up data at three months showed a statistically significant growth delay in 100% of the subjects. Temporary skin discoloration was seen in less than 10% of the subjects, and there was an absence of scarring. No skin rash or irritation was observed. "Greater understanding of laser skin interactions and refinements in laser technology have enabled dermatologic surgeons to optimize the safety and effectiveness of laser-based hair removal procedures. We are confident that the diode laser and its future applications hold a great deal of promise," concluded Dr. Grossman. The American Society for Dermatology (ASDS) was founded in 1970 to promote excellence in the field of dermatologic surgery and to foster the highest standards of patient care. Laser technology has made advances in the selective removal of unwanted body hair. Thanks to research breakthroughs, clinical advances and instrumentation innovations pioneered by skin surgery experts, the majority of dermatologic surgeries is now minimally invasive and requires only local or regional anesthesia. This translates into superior patient safety while reducing the all-important "downtime" and recovery period. In addition, new developments and the latest techniques are constantly enhancing the results of many established skin surgery procedures.